25 | April | 2015 | ohsobolala. 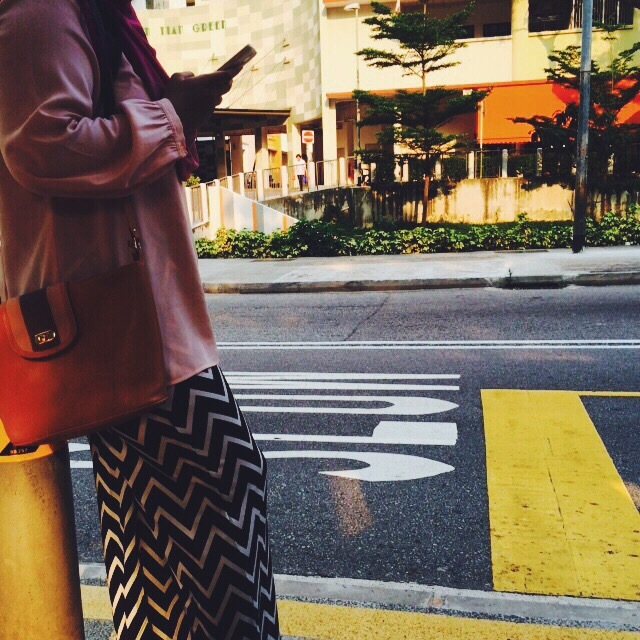 April 25, 2015 | ZUHAIRAHIFFAH. Doing this just because. I’ve gotten a couple of tags from instagram but i dont know why i havent gotten the courage to post this up. Since im pretty confident im the only one reading my blog, i’ll do this here, shamelessly. 2. I cannot tolerate people who read my texts and not reply. 3. When i don’t like something, my expression shows it all. 4. Don’t take my food away from me when im eating. I won’t talk tyou again. 7. I have a fickle minded bird brain. I can never make up my mind. 9. When i have something in mind, I need to get it done straight away no matter how busy I am. 13. I don’t cry easily. Never cried in front of my closest friends either. 14. I cannot live without talking to people for a day. 16. I’d like think that I’m a free spirited person. Most of the time I don’t care what happens around me. 17. I’m pretty sensitive, so don’t shout at me. 18. I like to compare people around me with myself. 19. I have a bad habit of doing things halfway. 20. I am happy with the little things I have, because i believe in less is more. 21. I looooooove inspirational quotes, it makes me realise things I have always taken for granted. 22. I’m always trying to improve myself everyday. 23. I don’t have a high confidence level, but i enjoy boosting other people’s confidence and giving them support. 25. I am a little scared of crowds. 26. I hate ghosts, eerie things, loud sounds and stuff. It makes my hair stand. 29. I can’t stand cheesy conversations, it makes my insides curl.